Weekend Destinations near Siliguri in the tourism map of West Bengal. If you are from Siliguri . Shouldn’t you be feeling privileged to be a resident of one of such a beautiful places in the map of West Bengal, which is named as the transit point of all the beautiful tourist spots of whole North Bengal and North -East states of India? Well, you know it’s Siliguri and you must be watching and getting annoyed every day by the increasing traffic, fulfilled reservation seats of Trains and hotel rooms. Above all such negative perceptions, there are so many things that you have never thought of that certainly makes you privileged. The first and foremost is the possibility of your unscheduled, unplanned visit to all those places where people from all around the world take so much pain for just reaching there. Those places are can be your best weekend destinations near Siliguri. Considerably, if you have already bagged the names of all the renowned tourist places in the map of West Bengal then this page will not talk about all those destinations but will focus more on unexplored destinations in the map of West Bengal. No need of planning, just get a bike, a backpack and there you go to feel the freshness of wind blowing against your face, and some change in the taste of food and drinks to get down your throat. These weekend destinations near Siliguri are just 2-3 hours drive from Siliguri and that allows you to live your whole week in just one or two days of your weekend. Love to relive the historical eliteness? Then this place is surely made for you. Taking the same route towards Gorubathan from Damdim you will find this beautiful Tea estate seat against the sloping landscape of Gorubathan Hills. The place is best to spend two days where you can get a good mixture of luxury and adventure. The best part of this place is unlike other tea gardens here you can avail the accommodation in their best heritage Bungalow that stands on the top of the hills surrounded by tea gardens and villages. How many times a year do you ever use your grandfather’s gift to you – an old fishing rod with all the accessories? Perhaps the best excuse would be that you’ve never found the best fishing destinations in North Bengal. Gone are the days of childhood when you would run for the flooded drains of Siliguri with your friends for fishing. If you’ve grown up then these destinations serve you with one of the best fishing destinations of North Bengal – Triveni point at Teesta River. Just around drive towards Teesta Bazaar from Siliguri, you can take left towards Bara Mangwa Orange Villa – the largest orange orchard of Darjeeling. Apart from just the river activities, you can have much more of the real entertainment of availing these weekend destinations of Siliguri. Ever heard of Robber’s cave of U.S, Oklahoma? Well, that’s too far. Then you must have heard Robber’s cave of Uttrakhand, India. For all those who wish for such tourism destinations of India to become their weekend destinations from Siliguri, then you may thank the almighty for fulfilling your wish. Just 2 hrs from Siliguri towards Bagrakote you can take the route towards Yelbong, taking a left cut towards Bagrakote from the National Highway. This beautiful village and it’s beautiful cave will certainly turn your weekend into a most memorable moment that would make you feel in another world just 2 hrs away from Siliguri. The village offers some cozy accommodations in their homestays that would again make you feel proud of being so close to the most beautiful offbeat destinations of West Bengal. This weekend destinations near Siliguri has now beacome one of the most preferred nearest trekking destinations of Siliguri. This destination is like a door to the other world from Siliguri. Just around 6 to 7 kms from Siliguri heart, this place can be reached within half an hour from Siliguri. The village’s name is Khaireni, also called Gulma homestay. This village is adjacent to Mahananda Wildlife sanctuary. So, not just a weekend destination near Siliguri, this place is like a evening rendezvous for the people of Siliguri. Apart from the beauty and freshness of Mahananda wildlife sanctuary, the village is also surrounded by picturesque tea garden and some of the wonderful landscapes. You may have heard so much about this destination. The direction is too easy. Just follow the Sevoke road and align with highway that goes toward Bhutan. Just reach Chalsa and take left. You will reach this place within a wink of an eye. The beautiful uneven terrains carpeted by the green lusciousness of the tea gardens on the way will make your drive more beautiful. There are many homestays at Samsing Suntalekhola. You can definitely book any one them without being choosy because all of them maintain the same standard and pocket. On the way you can also visit Rocky Island and Laali Gurans. Rocky Island too can be you alternative destination to Samsing Suntalkekhola. 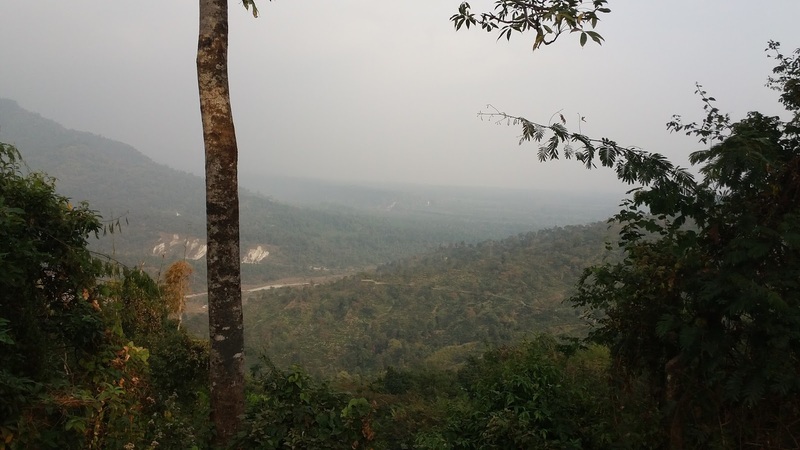 If you are burning inside due the hot and humid climate of Siliguri, and you want to look out for some cold weekend destinations near Siliguri, then here you are. Just a 2 and half ours drive following the wavy trails through the bank of River Teesta you can reach this place easily. This place is precisely a wayside destination that you come across while heading to Darjeeling through Peshok Road. 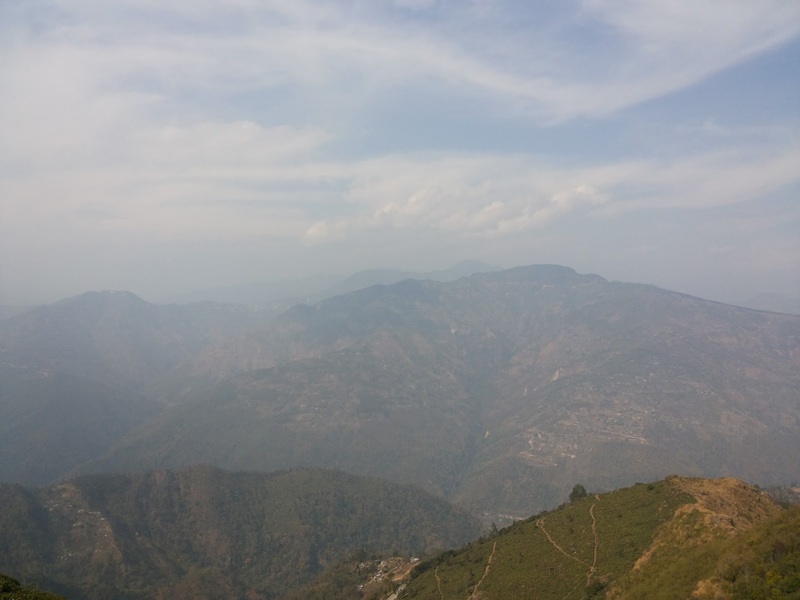 The smoky scent of the steamed Darjeeling Momos along with the divine smoke of burning Saang ( incense powder made of Pine leaves used in Buddhist monasteries), and the hallucinating view of the almighty Kanchenjunga, all these will certainly make you feel you are miles and miles away from Siliguri. Check and book Lamahatta and Peshok tea garden Itineraries.